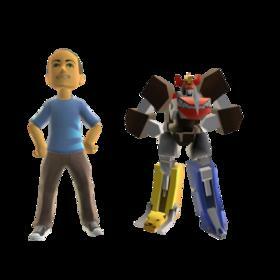 Mighty Morphin Power Rangers themed items for you’re X Box Live avatar are now available for purchase on the X Box Live Market Place. 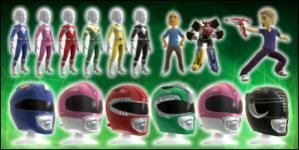 Full on helmets and costumes are now available for purchase in addition to the Power Blaster an out of scale Megazord. 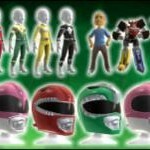 Mighty Morphin Power Rangers themed items for you�re X Box Live avatar are now available for purchase on the X Box Live Market Place. Hahaha, the Dino Thunder retcon continues! So we got Hulk-sized arms on the Megazord? Yeah pretty much this. I saw no reason to replace my X Box once it red ringed on me. excuse me while i go spend points. No white ranger, no sale. 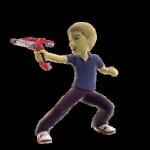 Also I don't know if those are just the pics, but they look REALLY low res. The Megazord is pretty low res in reality. The suits and helmets look rad in full resolution. Wow, that's kind of ridiculous.